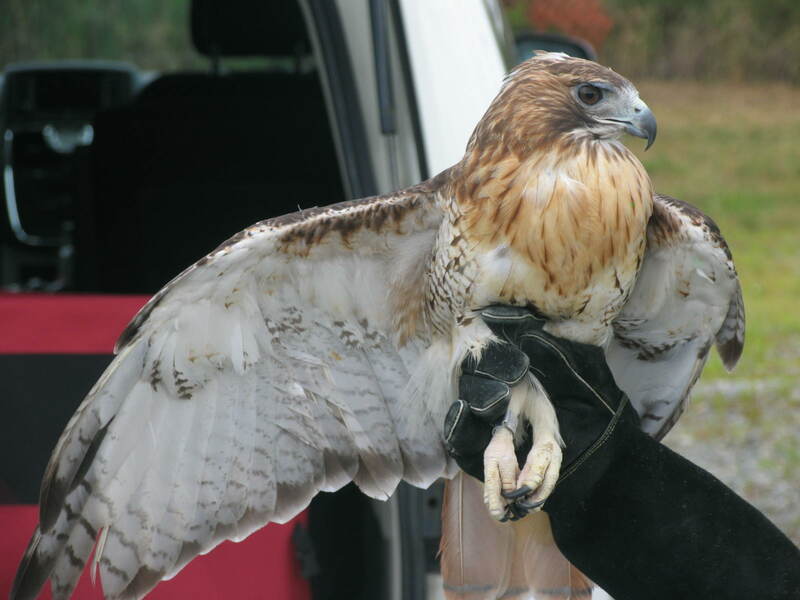 This morning, just outside of DeKorte Park, Chris Soucy of the Raptor Trust released a majestic Red-Tailed hawk that had been burned more than a year ago. 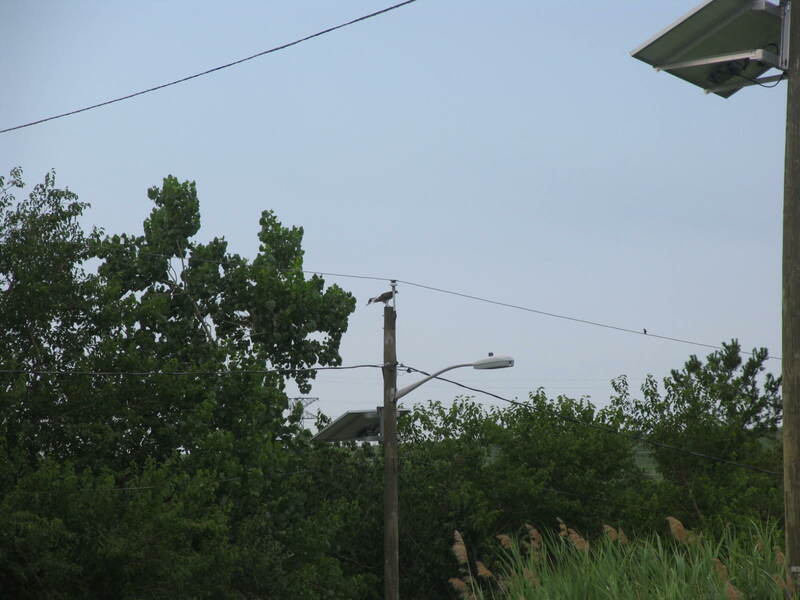 The Raptor Trust rehabilitated the male hawk, who flew off and immediately found a place to perch. 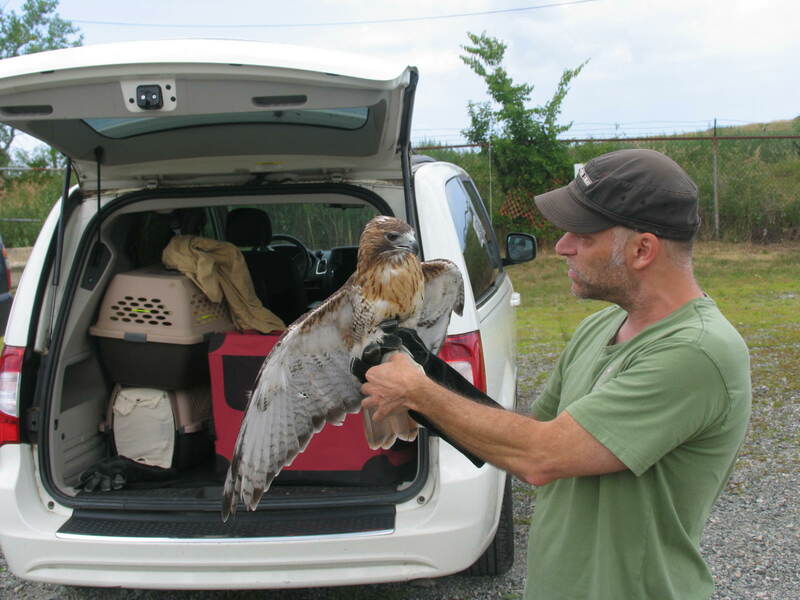 We’re thrilled to see this happy ending/new beginning for the hawk! 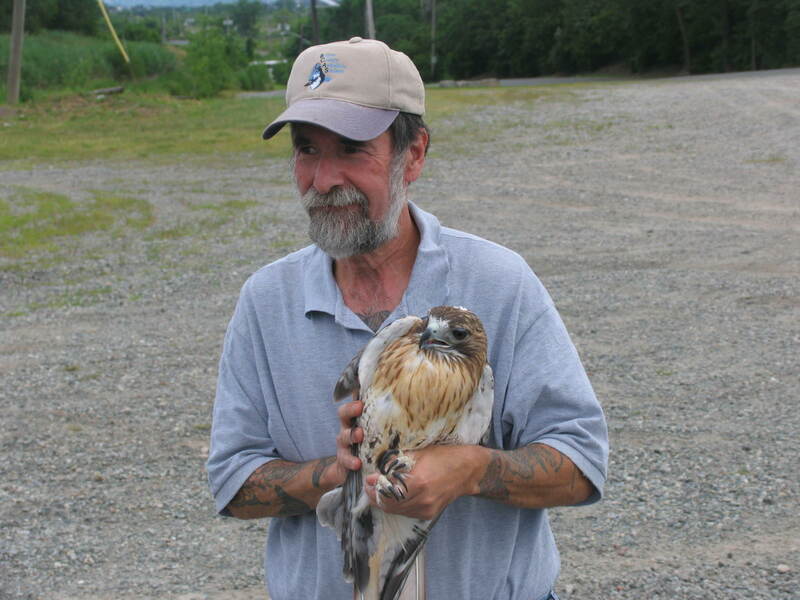 Attending were members of the Bergen County Audubon Society (check out the great pic of BCAS President Don Torino with the hawk below)! The Great First Lady of wildflowers Lady Bird Johnson once said, “Wildflowers are the stuff of my Heart.” I am sure there are many more of us that would join her in that very special sentiment. After all wildflowers have been the inspiration for some of our greatest poems and love stories throughout the ages. Their beauty somehow touches our hearts and souls by stirring some of our most ancientemotions at the very sight of a field Bee Balm, Coneflower or Goldenrod. But there is much much more to the true magical beauty of our native wildflowers. Almost like a mystical phenomenon they bring life seemingly out of nowhere and ultimately mean survival to an endless number of birds, butterflies and pollinators that have evolved with them and now depend on them. 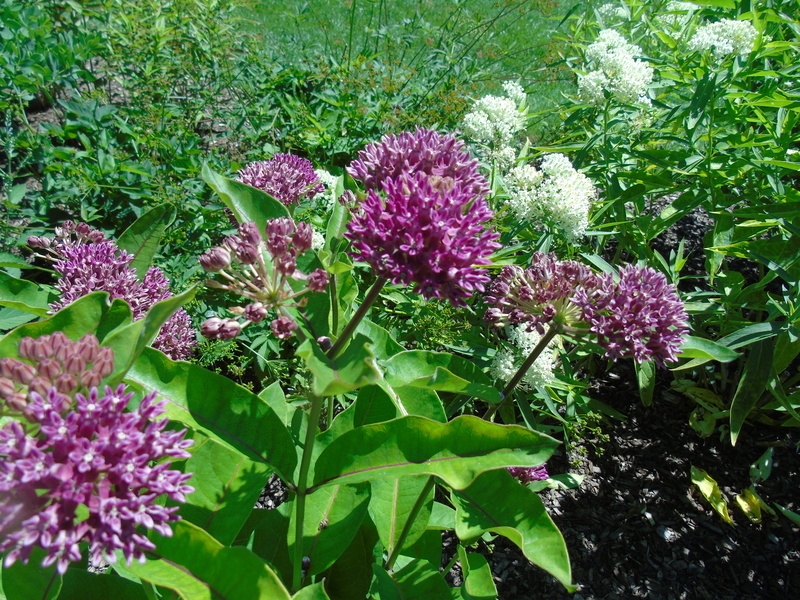 Whether it’s a hundred acres of flowers or just your humble backyard garden they are the foundation and building block for a healthy habitat for both people and wildlife.